My friend Karen’s mom, Pam, had a birthday recently. 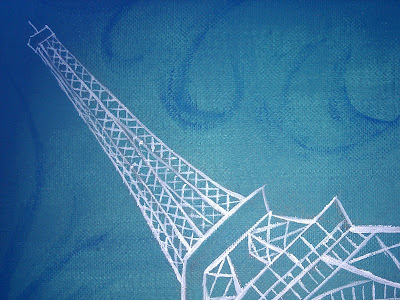 Pam loves the Eiffel Tower and the color blue. Karen suggested that I make a painting similar to my Peaceful Tree painting – a white outlined painting on blue. 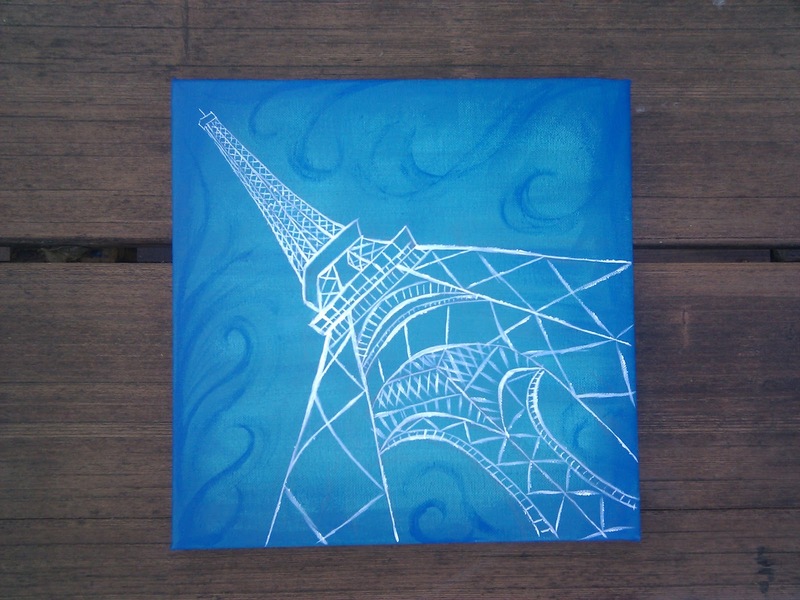 So I made Pam a 12″x12″ white Eiffel Tower painting with a blue and teal background. 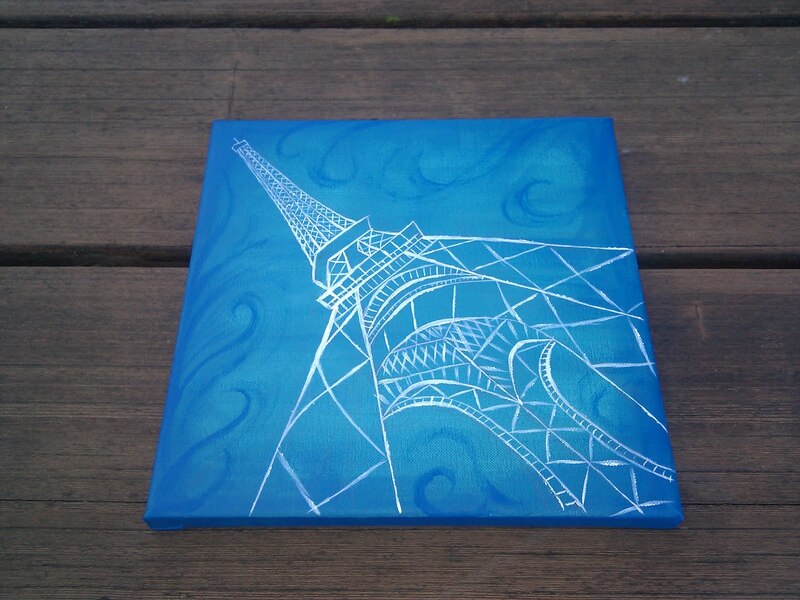 I tried to make it more interesting than the usual Eiffel Tower painting by giving it some perspective. When I traveled to Paris a couple years ago and saw the Eiffel Tower, it was so huge and it really towered over me. So I brought that experience into my painting. 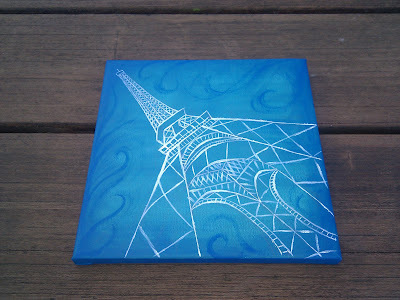 I also painted dark blue swirlies around the edge to make the background a little more interesting.